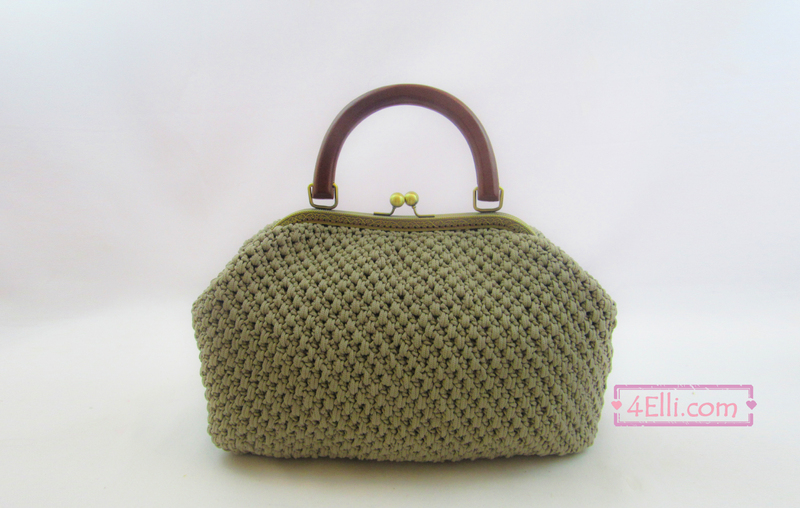 Materials: metallic frame(24cm), polypropylene cord, 5mm crochet hook. Row 1: 1sc into the 2nd chain from hook, 1sc in each chain around. Row 2: chain 1, turn, 1sc in each stitch around. Round 2: 1sc into the 1st stitch, *1hdc into the base of next sc, 1sc into the next stitch* repeat from * to * around. Place a stitch marker into the last stitch. Round 3: 1hdc into the base of 1st sc, *1sc into the next hdc, 1hdc into the base of next sc* repeat from * to * around. Round 4: 1sc into the 1st hdc, *1hdc into the base of next sc, 1sc into the next hdc*, repeat from * to * around. Round 32: 1sc into the 1st, 2together around. In the end of round 32 slip stitch to the 1st, cut the cord and finish your work. Sew the frame to the bag. 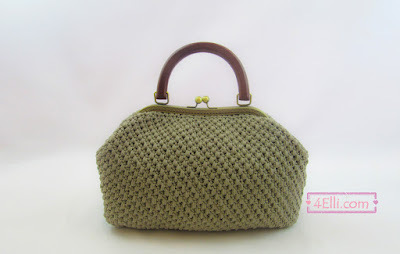 You can watch our video tutorial witch shows you how to crochet this lovely bag step by step.